With its historical and archaeological significance, Imphal is one of the best destinations to travel in India making it perfect for the history buffs. Whether it is the famous Kangla Fort or holy Shri Shri Govindajee Temple, there is something about the city that makes the tourists love to visit it time and again. 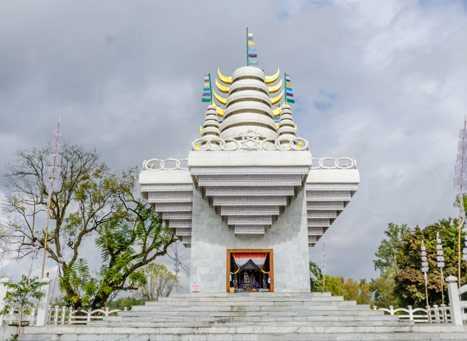 Coming to the best time to visit Imphal, the city is a year-round destination, but the months between October and April can be considered to make the most out of the trip to Imphal. Mentioned below is the seasonal breakup of Imphal, that would be helpful in planning the trip accordingly. March being pleasant, the summer season in Imphal starts from the month of April and lasts till May. The temperature can rise to 39°C and drop to 35°C. As summers in Imphal is not that hot tourists can make it for the sightseeing and enjoy the beauty of the place. Imphal experiences rainfall in the monsoon season i.e., between June and September and the city remains cool due to heavy rainfall and thunderstorm. Although tourists won’t be able to explore the tourist attractions and the rest of the city but if you are someone who loves rain, then tourists will get an opportunity to observe the lush green and breathtaking scenic beauty of Imphal. Winter in Imphal starts from October and lasts till February when the temperature rising up to 25°C and dropping down to 4°C. The city boasts of a pleasant climate when the sky becomes clear and the city turns foggy. The season is perfect for sightseeing and exploring Imphal as the weather remains pleasant.